* Representation of general contractor Otay River Constructors in chapter 11 bankruptcy case of toll road lessee and operator South Bay Expressway, L.P.
Osias became firm wide managing partner of Allen Matkins on July 1, 2011. He joined the San Diego office of the firm on July 1, 1991 and has been actively involved in firm management during his 20-year tenure. He is the chair of both the Bankruptcy & Creditors' Rights and the Water Resources Practice Groups, a long time member of the Management Committee, a frequent member of the Compensation Committee and a member of the firm's Strategic Planning Committee. He is a widely recognized authority on creditor and debtor rights in out-of-court workouts and restructurings, federal and state-court receiverships, and bankruptcy proceedings. 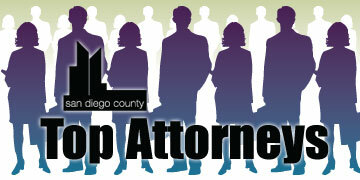 His bankruptcy practice includes representation of debtors, creditors, trustees, examiners, and official committees. 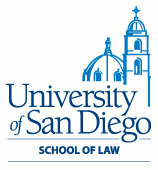 Osias has served as a court-appointed examiner and expert witness in a variety of cases. He also represents federal equity receivers in cases filed by the Securities and Exchange Commission throughout California, Washington and Oregon involving billions of dollars in investor losses. Osias is also an acknowledged expert in water rights and water resource issues. He has represented clients before state and federal courts, the California State Water Resources Control Board and numerous other public agencies. He is a co-author of a 2008 law review article on certain water right aspects of the Colorado River and a past adjunct professor of water law at the University of San Diego Law School. Osias is a fellow of the American College of Bankruptcy, a past president of the California Bankruptcy Forum, a member of the American Bankruptcy Institute, the Association of Insolvency and Restructuring Advisors, the Section of Business Law of the American Bar Association, the Federal Bar Association, the San Diego County Bar Association and the mediation panel of the Bankruptcy Court for the Southern District of California. He is an editor and contributing author to the California Water Law & Policy Reporter, a member of the Colorado River Water Users Association and a member of the section of environmental law of the American Bar Association. Osias is a member of the American Jewish Committee, the San Diego Jewish Federation, and a supporter with his wife of 25 years, Jeanette, of the San Diego Jewish Film Festival. Osias is an avid baseball fan, the commissioner of a fantasy baseball league, and an aspiring fly fisherman.